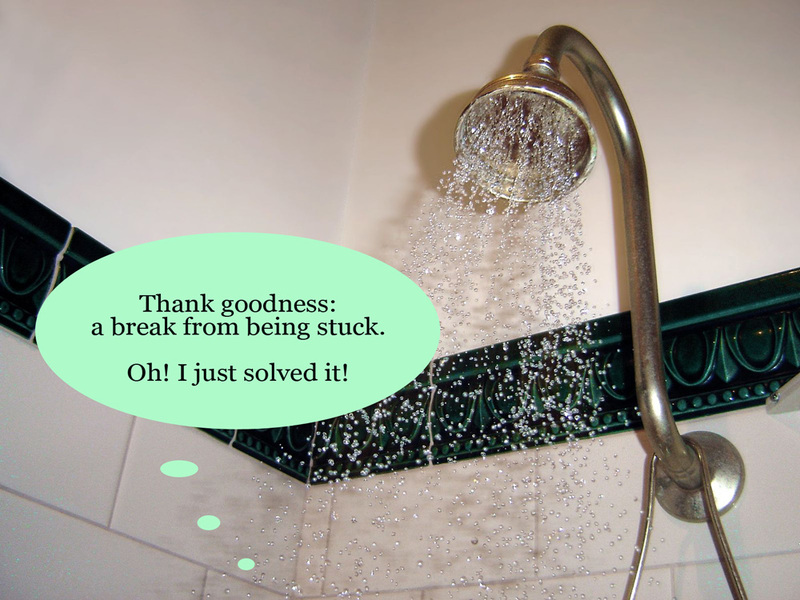 Showering at an unhelpful time. Based on “Showerhead” by DO’Neil. Used under Creative Commons license. Things that feel like a waste of time, like taking a shower or exercising or folding the laundry, can be put to good use as times of creative incubation. The point is to try out different times that might be more useful for “waste of time” activities, while accommodating such things as your work schedule and other obligations. Do some experiments, get some results. I’d love to hear about what you discover. Showering at a useful time. This entry was posted in Productivity, The Writing Life, Tips, Try This and tagged advice, creativity, decisions, keep going, schedule, shower, time management, timing, try this by Keiko O'Leary. Bookmark the permalink.